Google has come to an agreement with the European Union over the digitisation of books on its online book store. Previously, if a book was out-of-print in the US but still available in Europe the search giant would allow a digitised version on its site. The new deal means that if a book is still widely available in the EU it will only find its way online if authorisation has been given by the publishers. This is all part of Google's Books Rights Registry, which is being put in place to "represent authors, publishers and other rights-holders". Google says on its Books page that is wants to "help locate rights-holders and ensure that they receive the money their works earn under this agreement." The agreement in question is currently being ironed out in the courts, but if approved will "bring even more of the world's books online". Those against Google's Books Rights Registry include Microsoft, who is currently backing the mostly Europe-based 'Initiative for a Competitive Online Marketplace'. A representative for the initiative said about Google's latest move: "There are widespread concerns that the settlement leads to monopolisation in digital access to online access and sales of books in Europe and in other parts of the world as well as effects on other markets, such as search and search advertising." 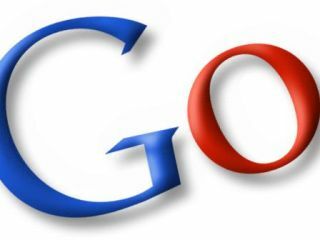 The US Justice Department is currently looking into whether Google's agreement with publishers is violating laws on 'predatory pricing'. It has until 18 September to present any findings to the courts.